Summer is in full swing and we’ve been enjoying the beautiful sunny weather everyday. It’s so much fun to spend time with the kids outside in the pool and at the park during the summer. 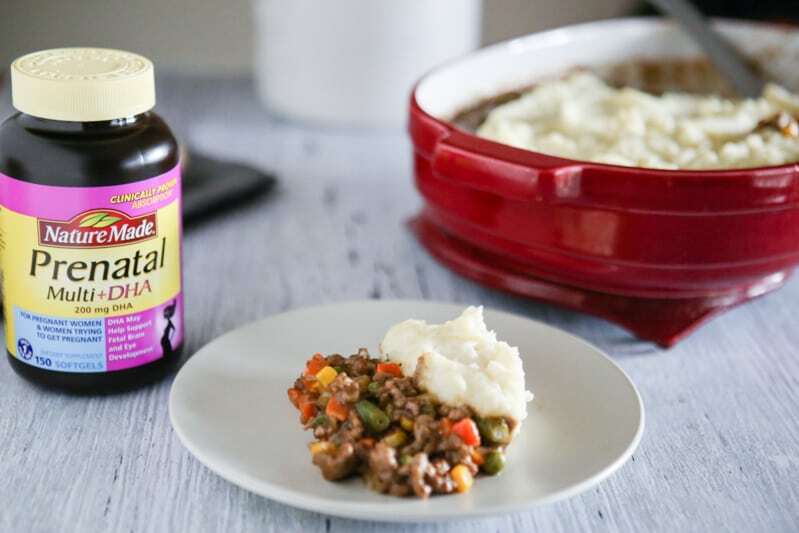 Our days have still been full of lots of activities like summer camps and play dates so dinner time can be a little hectic. 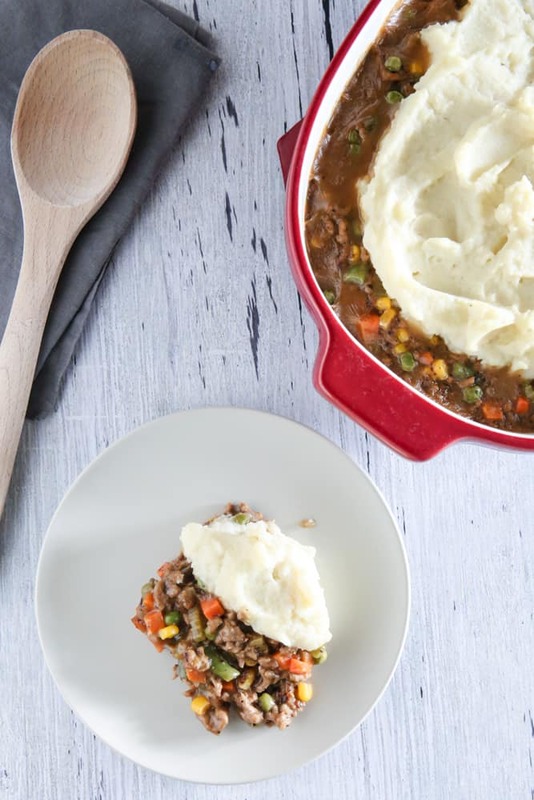 I love to make vegetable filled dinners like this yummy Shepherds Pie for dinner. This is so easy and the kids love it. 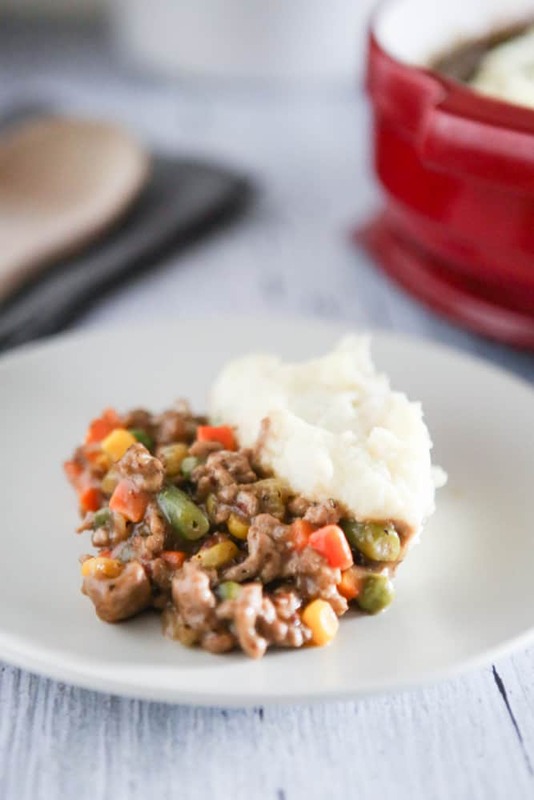 I’ve added lots of chopped vegetables to the lean ground turkey filling and instead of topping it with mashed potatoes, I topped it with creamy mashed cauliflower. It’s so delicious! I have tried so many fad diets, but I’ve learned that the most beneficial diet is just a simple healthy diet based on common sense paired with high quality vitamin supplements. By using myplate.org, I can easily see how many vitamins and minerals I intake everyday. For me, I always came up a little short on something, and that’s where Nature Made® Prenatal Multi + DHA (200mg) 150ct. softgels from Sam’s Club are so beneficial. I shared last December that we were making healthier choices in preparation to add an additional family member to our little family. We increased our activity, made better food choices, cut down on salt and sugar and increased our intake of nutritionally dense foods. I am now happy to say we’re expecting a new member to our family in November! We’re so excited and can’t wait to meet our new little baby. To ensure a happy and healthy pregnancy, I’ve been eating as healthy as possible everyday, participating in light physical activity and taking Nature Made® Prenatal Multi + DHA (200mg) 150ct. softgels. I get my Nature Made® Prenatal Multi + DHA (200mg) 150ct. 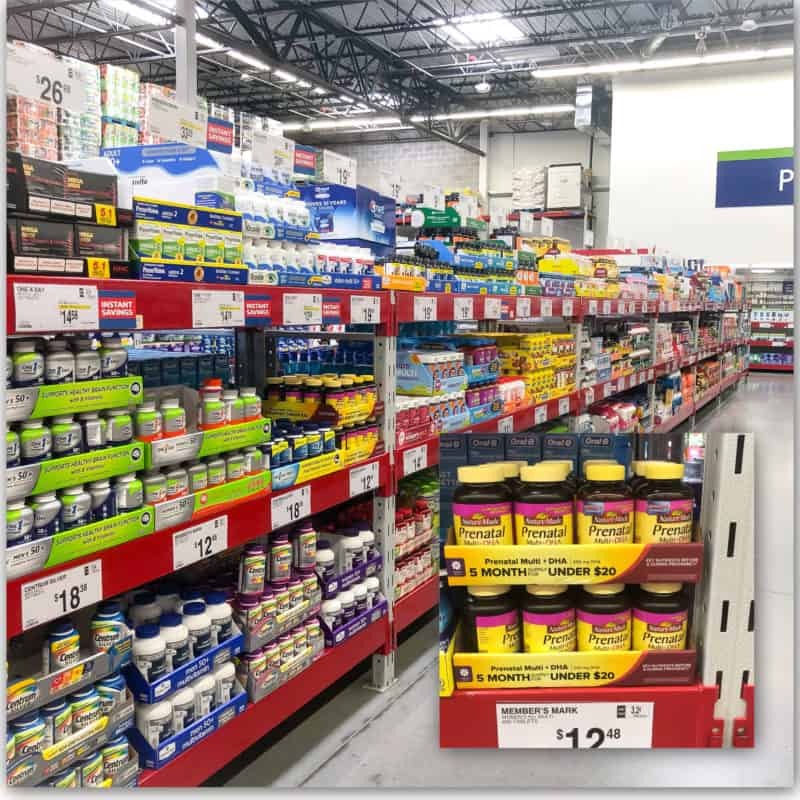 softgels at Sam’s Club. This bottle lasts 5 months and should be taken for 6 months before trying to conceive and taken all throughout your pregnancy! 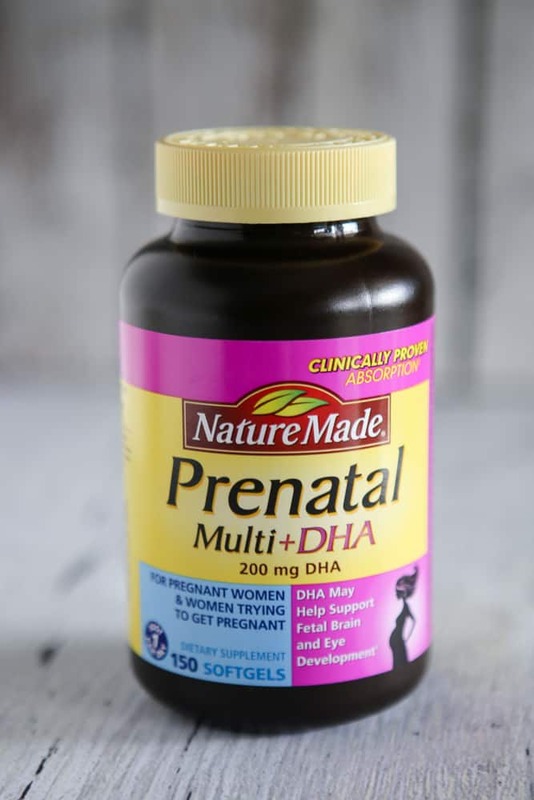 You can find Nature Made® Prenatal Multi + DHA (200mg) 150ct softgels in the pharmacy section of your local Sam’s Club. You should start taking a prenatal 6 months before you start trying to get pregnant. 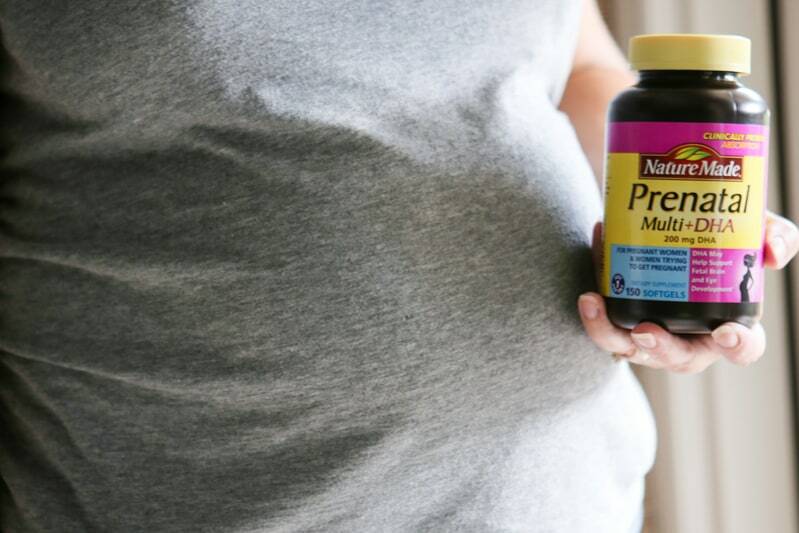 See below for all the benefits Nature Made Prenatal® Multi + DHA (200mg) 150ct. softgels ​have to offer! Preheat oven to 350 degrees. Cut up cauliflower and add to a large pot and cover with water. Add salt and bring to a boil. Cook until very tender. Brown meat along with onion and celery in a large skillet. After meat has browned, add flour and cook for 2 – 3 minutes. Add chicken stock and bring to a boil. Add seasoning and worcestershire sauce. Reduce to a simmer as you stir, until sauce thickens. And add frozen vegetables. Drain cauliflower and add back to the pot. Mash them up and add butter, milk and salt and pepper. 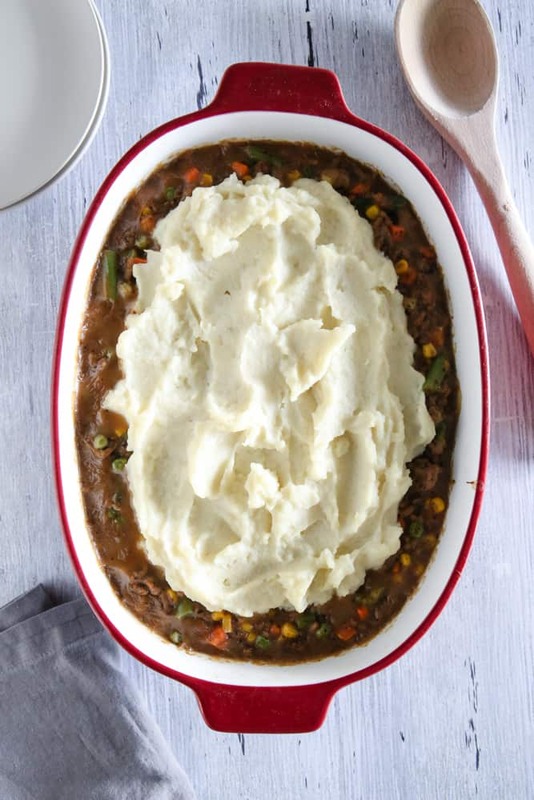 Layer beef and vegetable mixture in a large baking dish. Cover with mashed potatoes. Bake at 350 degrees until cheese is bubbly. Tip: To thicken cauliflower mash, add a little powdered mashed potatoes. You’re looking great!!!! 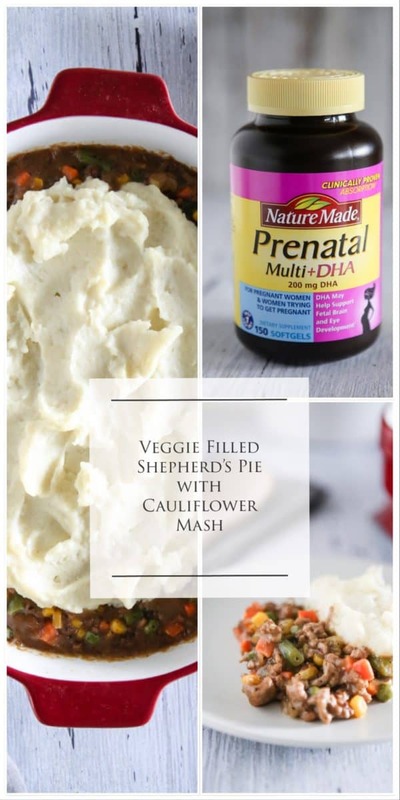 Love that you subbed in cauliflower mash! 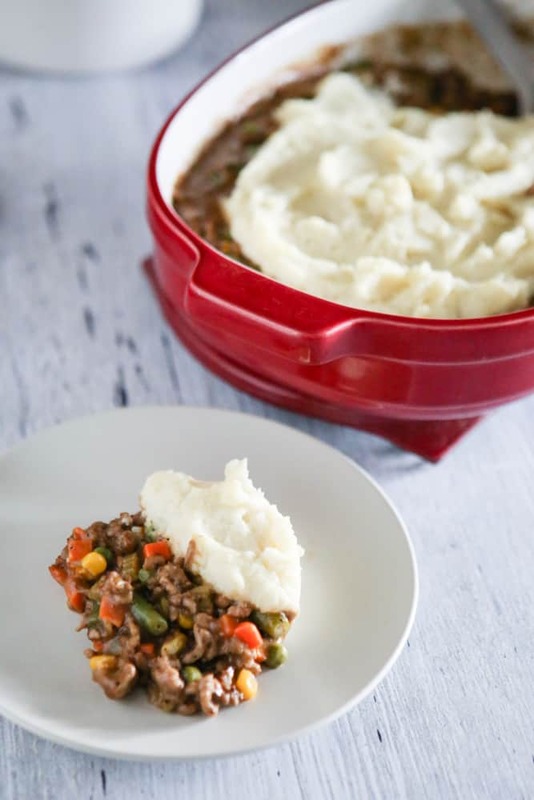 Shepherd’s pie is one of my favs. I am in love with this recipe!